Join the themed festivities at the best fun restaurants in NYC. Explore choices like Ninja, Alice's Tea Cup and more! Dinner is anything but boring, especially when you snag a seat at these fun restaurants in NYC. 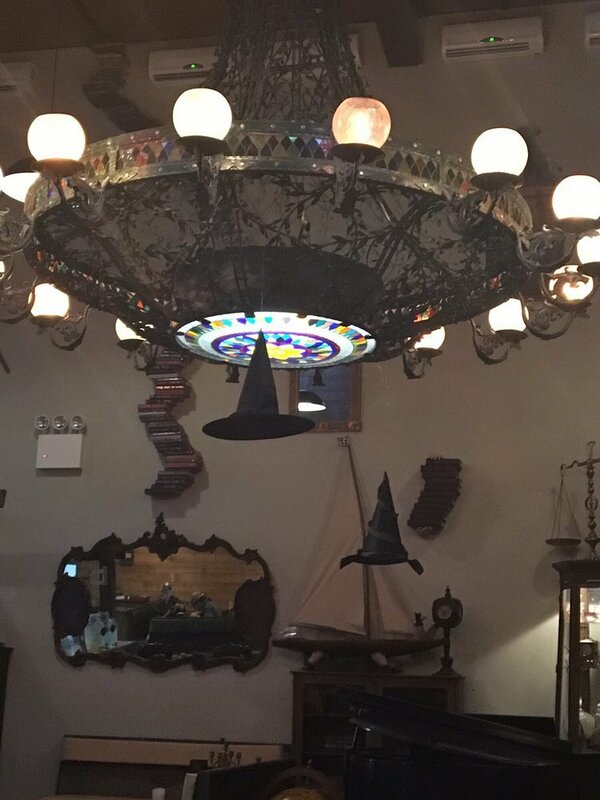 From Jekyll and Hyde to the Brooklyn Farmacy and Soda Fountain, our list of the best theme restaurants for kids will provide a delicious meal and fun for the whole brood. Thinking about something spooky? 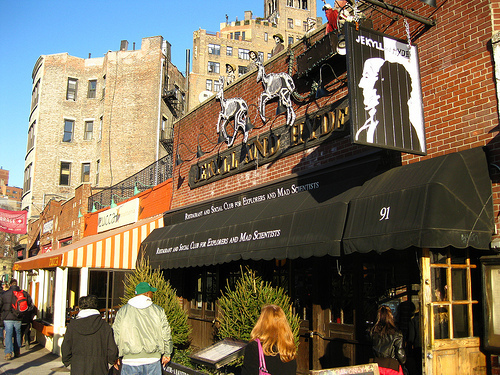 Want to take a trip back in time to 1920's Brooklyn? 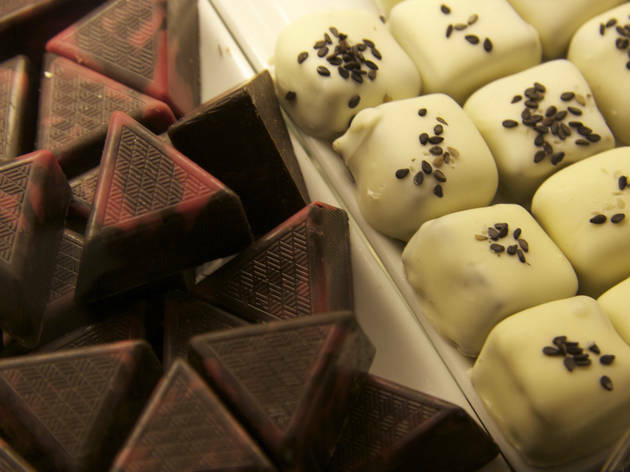 These venues allow you to do just that (while enjoying something tasty, of course). 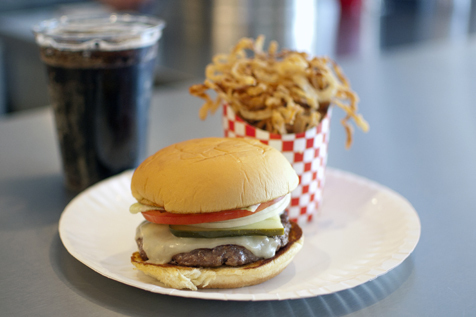 You're not just eating—you're going on an adventure. 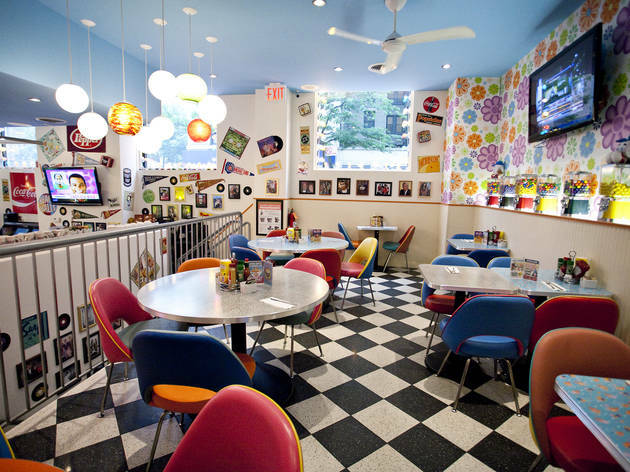 After you've enjoyed the quirky themes and all that goes along with them at our favorite fun restaurants for kids, make sure you visit our go-to ice cream shops, kid-friendly bars and cereal restaurants. 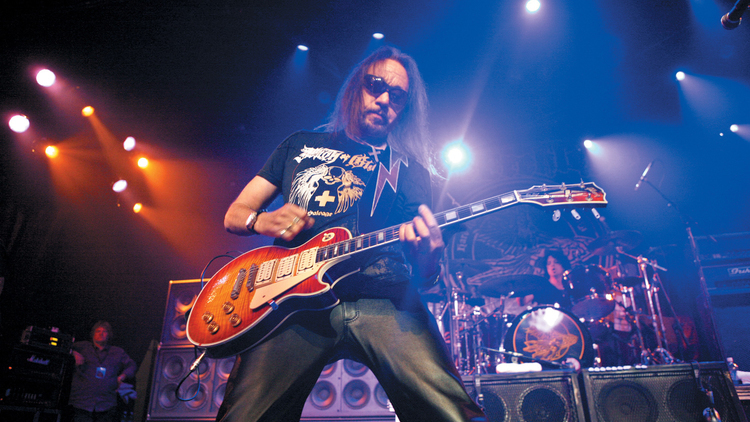 Once you've had lunch or dinner, you're going to need to find a cool activity. Book an excursion here. 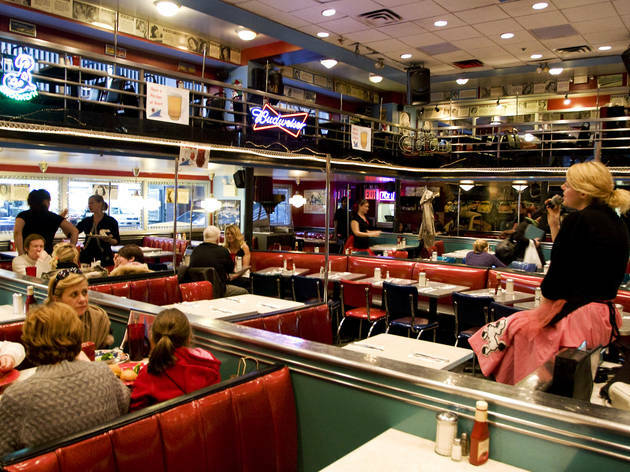 Come for the food and stay for the tunes at this kitschy midtown diner. 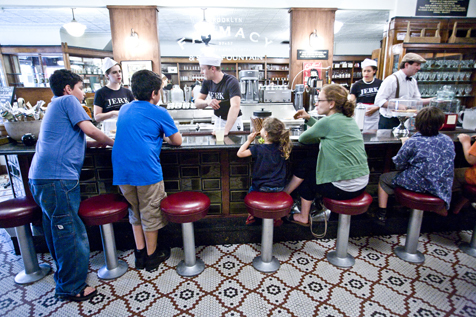 Singing waitstaff—many of them Broadway actors—will keep the kids entertained while they wait for their pancakes or burgers. The performing servers even take requests—just think how much your little ones will adore hearing a live rendition of “Let It Go” during their meal. 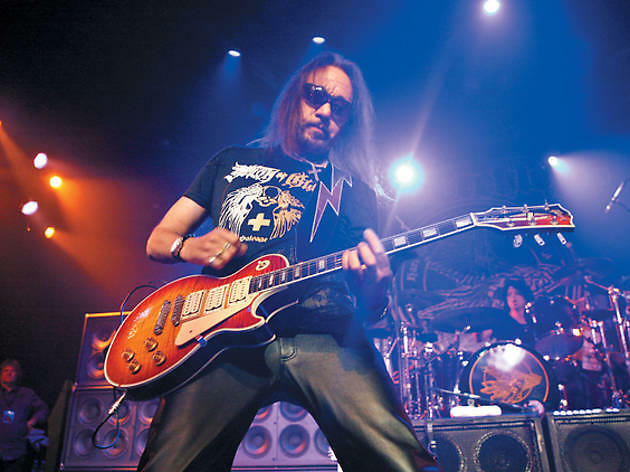 There are also nightly scheduled performances. 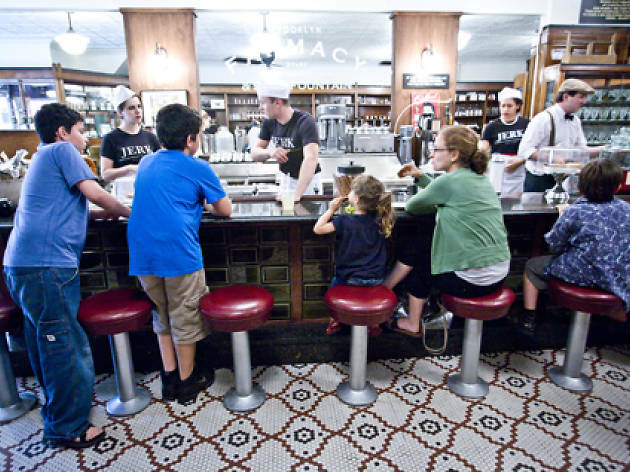 Decked out to look like an apothecary of yore, Brookyn Farmacy invites kids to pull up a stool at the counter and make friends with the modern-day soda jerks who whip up root beer floats and chocolate egg creams using artisanal sodas and syrups. 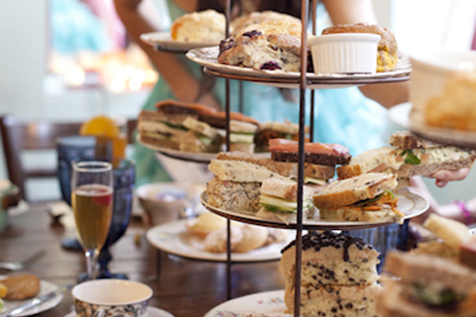 Consider this your ticket to the Mad Hatter’s Tea Party. At this cute café (the largest and first of three locations), little ones can enjoy service tailored especially for them. Breakfast and brunch are prime time for visits—you can order delicious omelets, eggs, scones, smoked salmon benedict and a variety of pancakes and waffles. 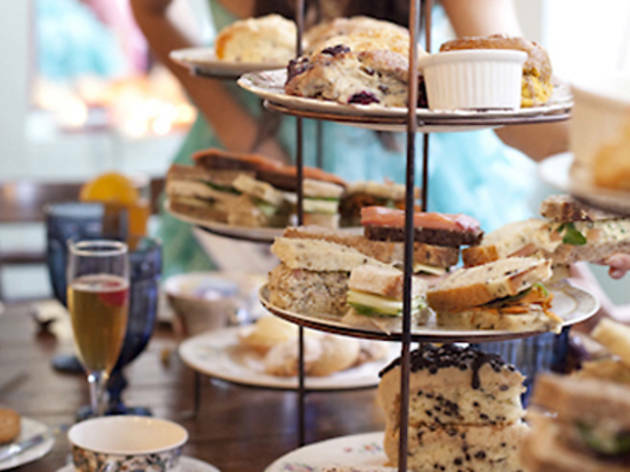 On their all-day menu, you’ll find delicious sandwiches (think curried chicken salad, black forest ham and gruyere, tuna melts, BLT) and tasty tea service options. Got a star-struck kid? 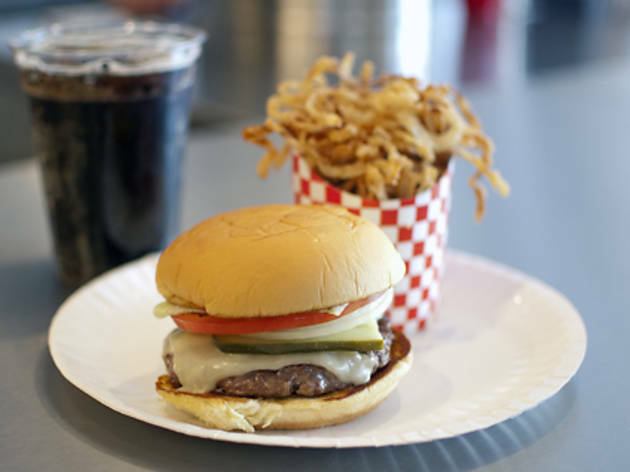 The funky chain of celeb-worshipping restaurants offers American food (including kid faves like cheese pizza and spaghetti) in a tourist-saturated setting. 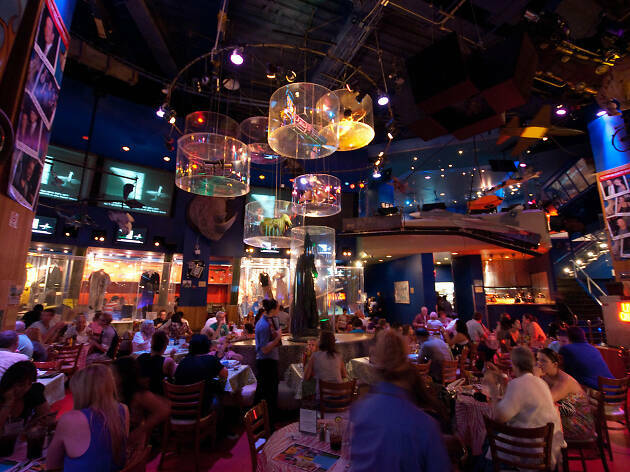 Little ones will love checking out the restaurant's iconic Hollywood memorabilia from famous films—flicks like Planet of the Apes, Titanic, Terminator and Wayne’s World. 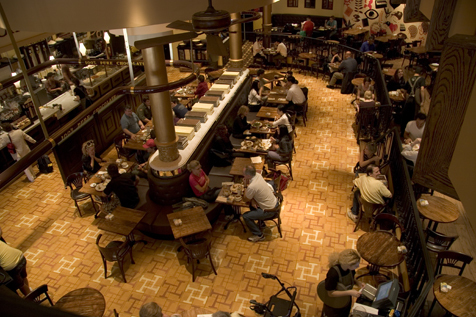 Be prepared: Entrees can get pricey, but you probably knew this before coming to Times Square. 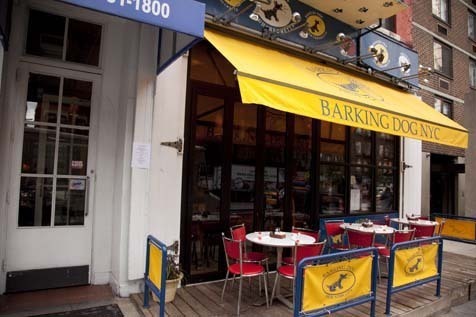 At this canine-themed mini-chain of luncheonettes, even Fido can tag along for family brunch. 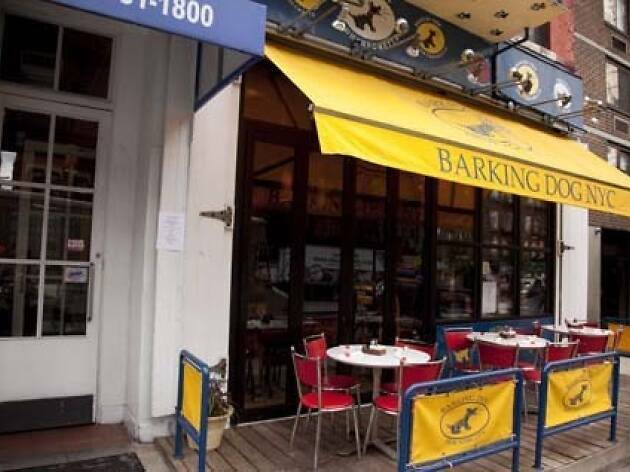 There’s really something for everyone: a Philly cheese steak wrap, op boy sandwiches, burgers, hearty salads, fried chicken and special desserts like the Barking Dog Banana Split, Barking Dog Sundae and Chocolate Brownie Sundae. Although pups aren't allowed inside, they can munch on doggie treats and wait for a tasty morsel of human food to drop from your family's patio table (and they’ll have access to water bowls). With such a hearty array of pancakes, waffles, omelets, frittatas and wraps, there might even be enough leftovers for a doggie bag…see what we did there? 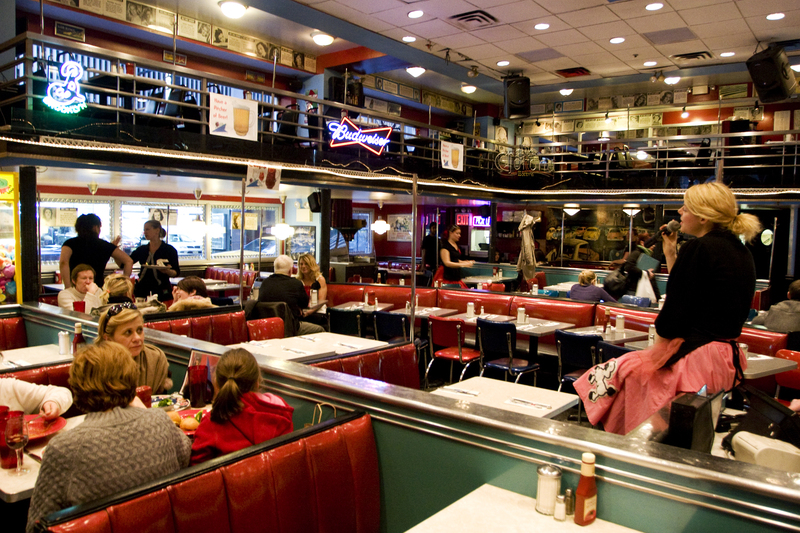 From the ambiance to the portions, everything is larger than life at this amped-up diner! 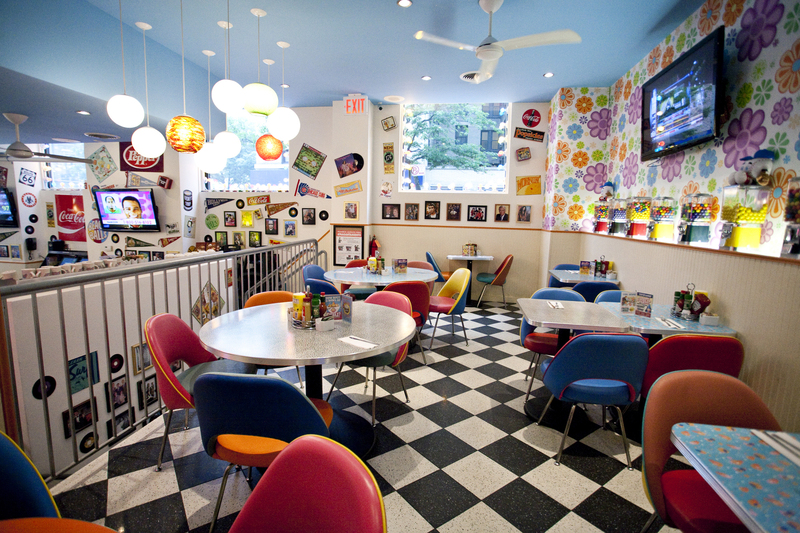 Kids eight and under can order from their very own menu, which includes hot dogs and chocolate chunk mini pancakes, then check out the pop culture memorabilia that lines the walls while they wait for their food (there are also Trivial Pursuit cards at many tables to keep the wait feeling short). Most adult entrees are between $15 and $20! Bring your whole clan for one of the monthly family trivia nights, or throw your child’s next birthday bash in the restaurant’s party room (they’ll even provide balloons). 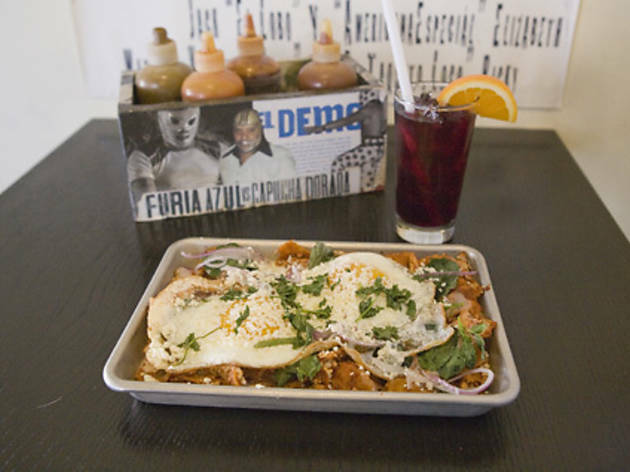 The kids’ menu at this Southwestern spot features lots of reasonably-priced dishes, including the famed Frito Pie, which little ones will enjoy eating straight out of the bag. Other old frontier-themed favorites include “corndoggies” and pulled pork sammys, served with French fries and corn on the cob. Finish off a gut-busting meal with the “#1 best dessert ever,” a sharing-sized ice cream sundae that looks like a baked potato. 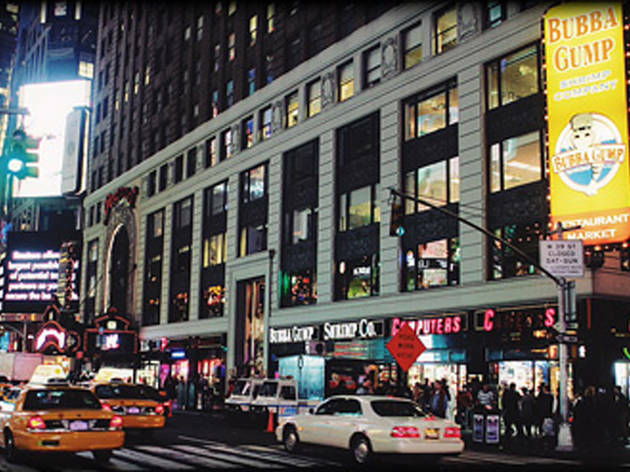 We know, most New Yorkers avoid Times Square, but this Hard Rock Café is nirvana for little music fans raised on the Beatles and the Stones. 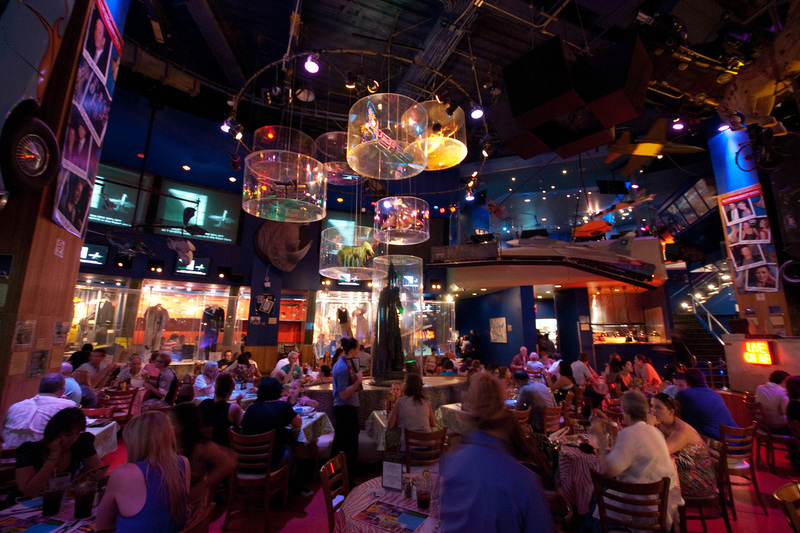 While you wait for your table, ooh and ahh over the memorabilia filling the walls: James Brown’s golden suit, Billy Joel’s motorcycle, the doors from the Abbey Road studios, and signed guitars everywhere. The Roxtars kids menu is great value and, even better, meals are served on cool guitar-shaped platters and come with an activity book to keep ‘em busy while they’re waiting for their burgers, chicken tenders, hot dog or pizzas to arrive (healthier options such as grilled chicken, salads and light pasta are available, too). The music is loud and the beats are rockin’—even the most cynical New Yorkers will be air drumming and chair dancing like a two-year-old. 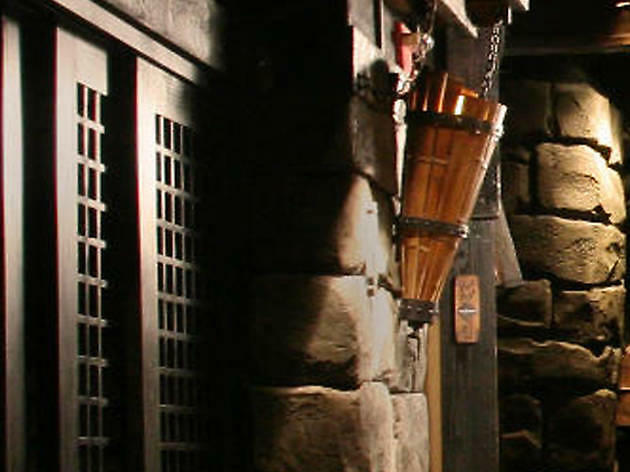 Keep a tight hold of your little warrior’s hand as you follow the way of the Ninja over wooden bridges and through castle-like halls to find your table at this lantern-lit theme spot. Yes, it’s hokey, and yes, it’s a splurge, but action-loving kids will love having the beejeebers scared out of them by the restaurant’s black-masked martial-artists who leap out and yell, Ninja! Take your little fiends to the Jekyll and Hyde and socialize with the cast of ghoulish characters—such as a sinister butler, bloodthirsty vampires and groaning mummies—who make the place a fun-filled horror show. 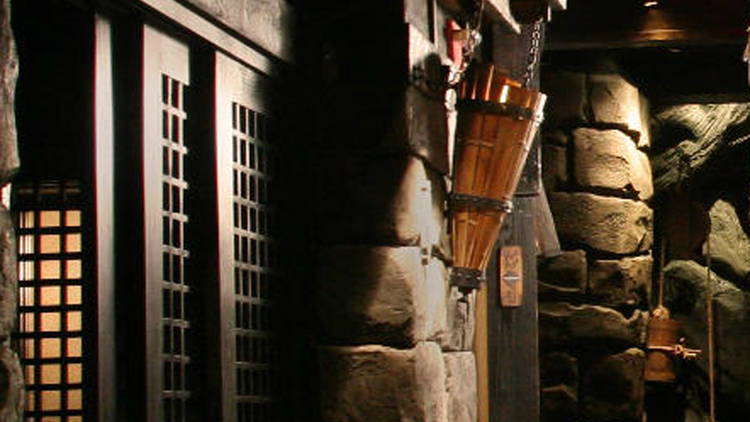 The wait can be long, but once inside you’ll find a creepy club packed with gargoyles, haunted pictures and eerie wax figures that come to life and chat to the guests. 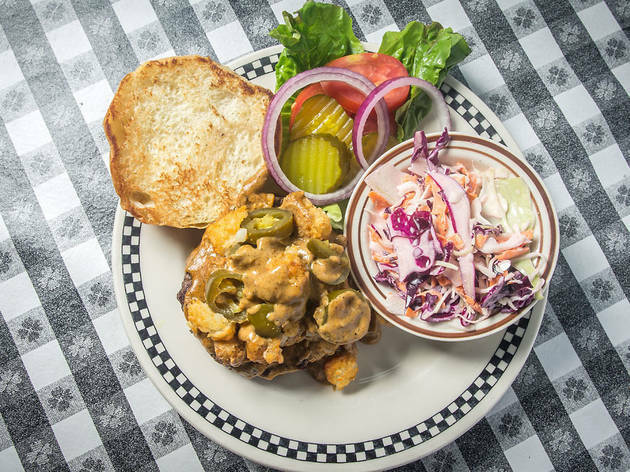 Young Explorers and Mad Scientists can chow down on Jekyll burgers, spaghetti, mac 'n cheese, cheese pizza and chicken fingers, then finish it all off with a killer dessert like Death by Chocolate cake or classic cookies and milk. 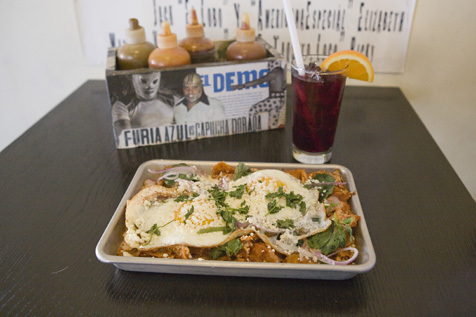 Order at the counter of this taqueria, grab a seat and enjoy piquant Mexican dishes like braised Hudson Valley duck tamales with roasted poblano chiles or, for brunch, chilaquiles with sunny-side-up free-range eggs strewn with Amish chicken and cotija cheese. Tots may enjoy the queso fresco and epazote-leaf quesadilla almost as much as the colorful lucha libre (Mexican wrestling) decorations. 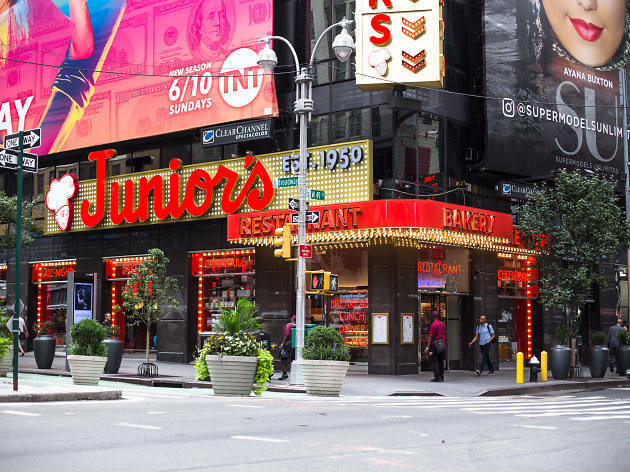 Whether or not you've seen Forest Gump, chances are you've made a pitstop at this Times Square seafood spot with an affinity for shrimp. 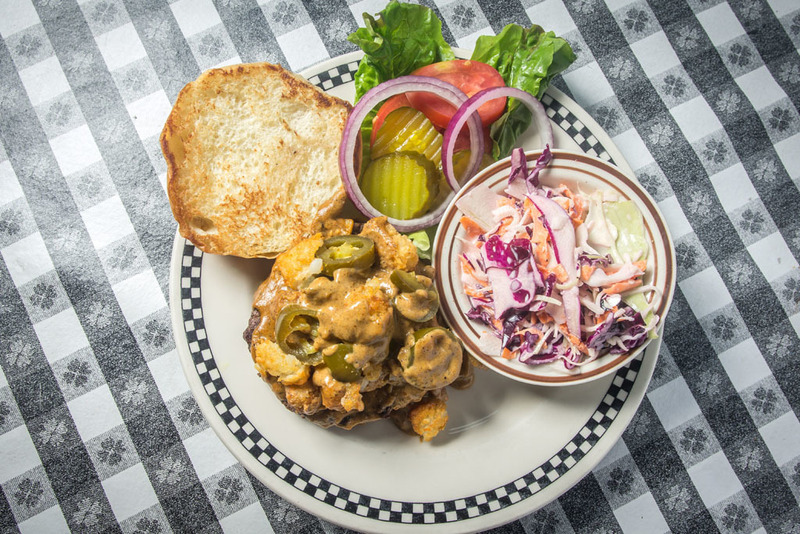 The famous Tom Hanks flick inspired the menu with items such as Run Forrest Run (a fruit smoothie) and Bubba’s After the Storm Bucket of Boat Trash (shrimp, lobster, mahimahi, coleslaw and fries). Let's not forget the fish boat décor, which makes it a prime-time summer go-to. 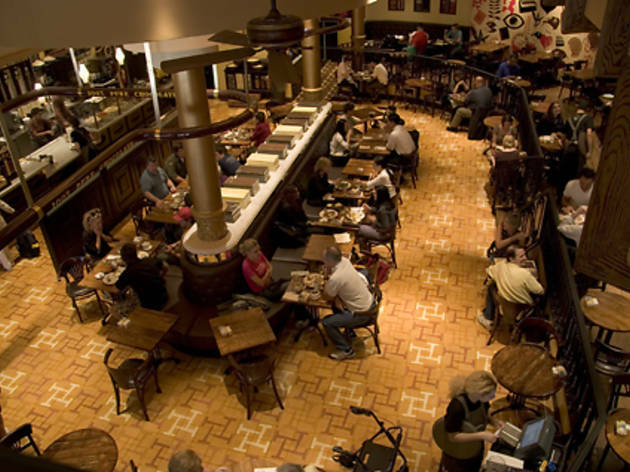 Though it's in the heart of a tourist-populated neighborhood, we won't judge you for making reservations at this kitchy restaurant. 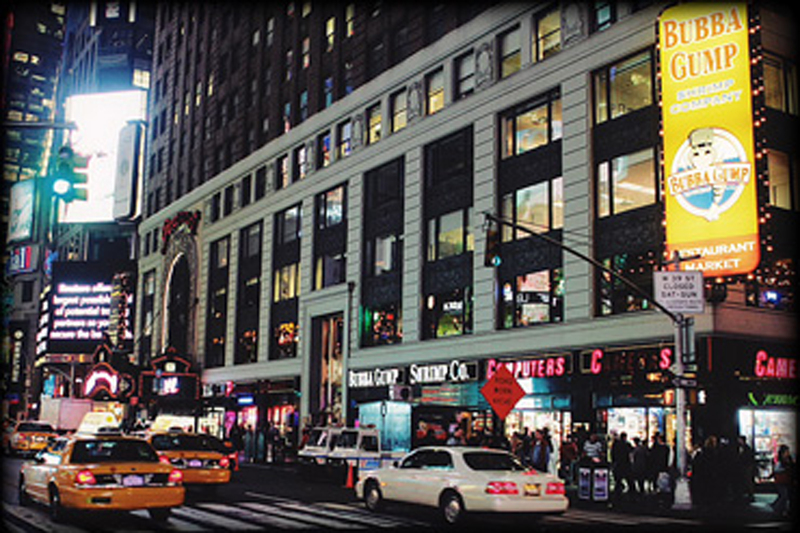 After all, what better place to find a theme restaurant than Times Square? 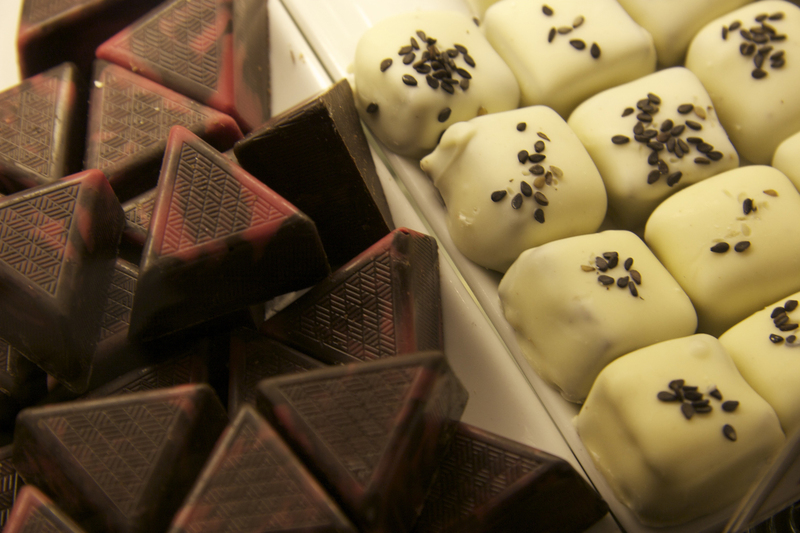 When it comes to a chocolate-themed restuarant, there's no need to tell us twice—we'll be there with bells on and a glass of milk at hand! 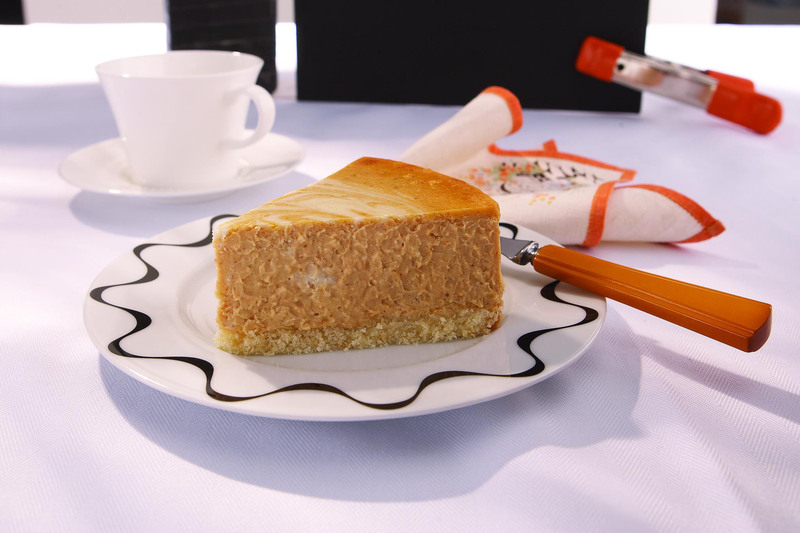 Brooklyn families and out-of-towners alike will not find any trouble choosing a dessert at this dessert oasis, whether they're craving brownies, sundaes, cakes or cookies. Bring the goodies home with jars of hot fudge sauce and chocolate syrup...or snag boxed chocolates on your way out the door. Harry Potter goes with just about anything...even organic pasta. 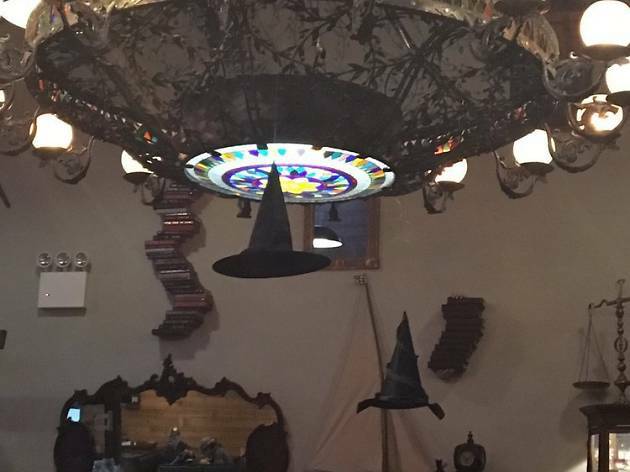 Join wizards and muggles for a hearty bowl of macaroni as witches hats, gothic chandeliers, brooms and magical potion glass jars surround customers and make them feel as though they're in Hogwarts. Accio food coma! 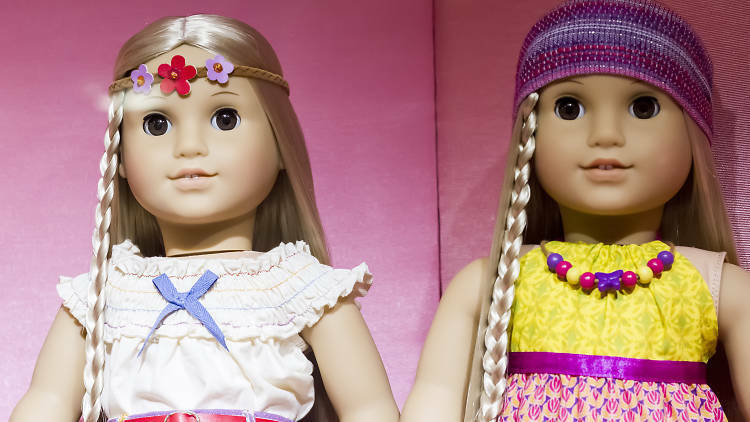 The next time you're venturing on a family outing, make sure your kids' American Girl Dolls are in tow. 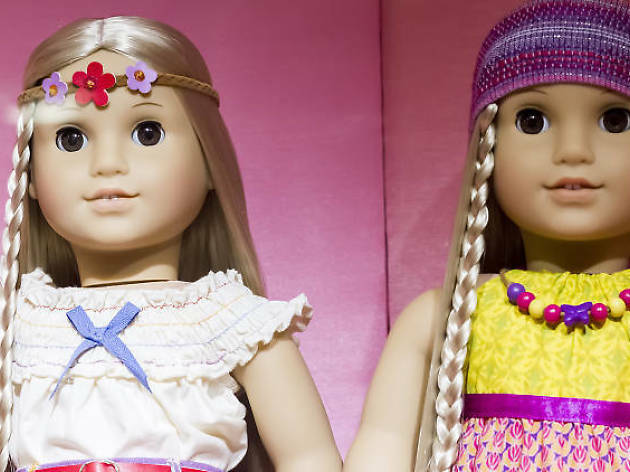 Rockefeller Center's American Girl Place Cafe offers patrons a chance for little ones to dine with their dollies, whether that includes afternoon tea with scones and buns, or a satisfying chicken tender lunch (perhaps Bow Tie pasta for those with a more mature palette). Once you've finished up your meal, let your crew explore the store and find cute outfits and accessories for their BFFs. 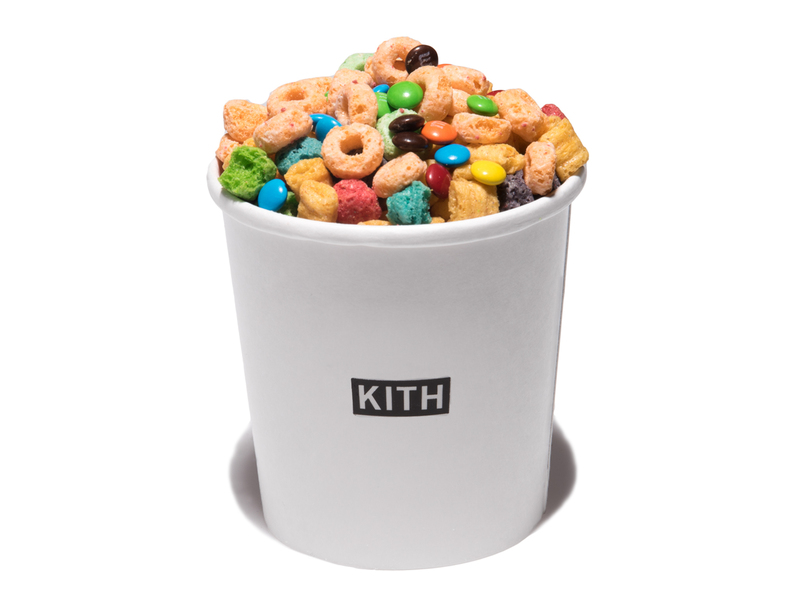 When street gear and sneaker store Kith opened up shop Prospect Heights, it added a cereal bar to the mix. Kith Treats Cereal Bar offers 23 different cereals, including classics like Fruity Pebbles and Cinnamon Toast Crunch, 22 toppings and four milk options. 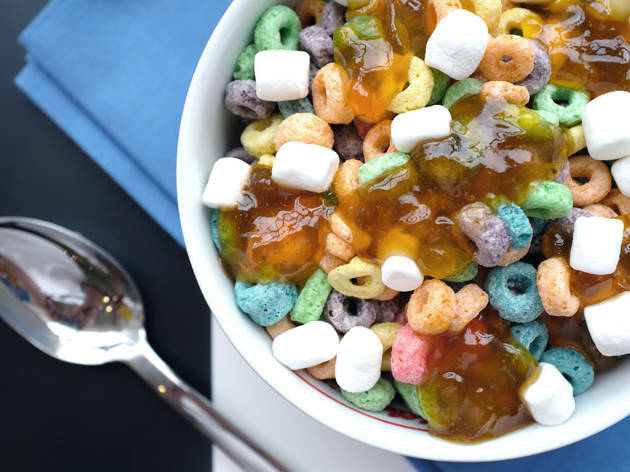 Not only can you make custom cereal combos, but other cereal-based goodies like cereal ice cream swirls and cereal milkshakes are also on the menu. The Brooklyn shop features a menu of special mixes created by celebs and friends of the brand while their newest location, Nike x Kith Shop in Lower Manhattan, is a partnership that combines the sneaker brand’s iconic elements with Kith’s rise in cereal expertise. 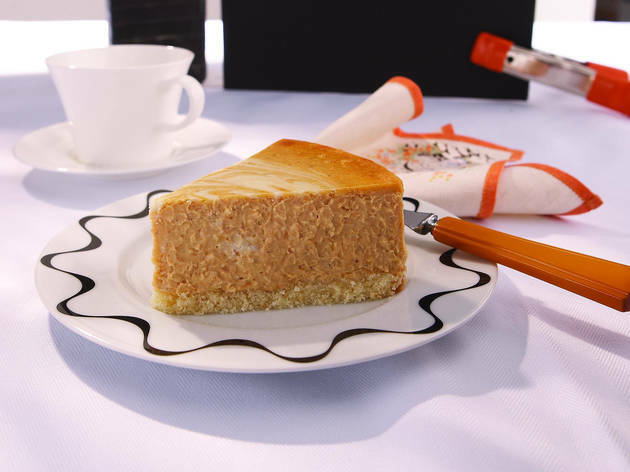 This New York institution's claim to fame is the rich, fluffy cheesecake, which comes in several varieties like red velvet and devil’s food—but we like to work our way up to the sweet slab of loveliness. 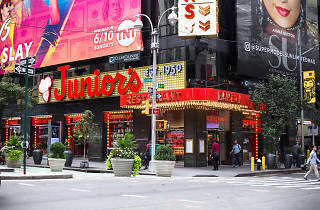 Beginning with the perfectly salty-sour pickles and other crunchy bites that are served before every meal, little ones can peruse the appropriately-titled Junior Menu and choose from a selection of kiddie diner favorites, like grilled cheese and chicken fingers.